In the current bullpen market, the Brewers’ latest deal looks like a bargain. The Colorado Rockies spent $106 million on Wade Davis, Jake McGee, and Bryan Shaw in order to create a bullpen, while soon-to-be forty-one-year-old Fernando Rodney signed for $4.5 million. The Milwaukee Brewers signed thirty-three-year-old Boone Logan to a one-year, $2.5 million dollar contract with a club option for 2019. Logan immediately becomes the Brewers’ second-best lefty option out of the bullpen behind Josh Hader. Hader, who is still being entertained as a possible starting pitcher, was scarcely used as a lefty-specialist in 2017. The addition of Logan allows Craig Counsell to continue utilizing Hader in a multi-inning relief role if he remains in the Brewers bullpen. Logan was limited to just 38 games and 21 innings in 2017 due to a lat strain that ended his season in late July. In the two seasons prior to 2017, he pitched in 126 games and 81 ⅔ innings, posting a 3.40 fielding independent pitching (FIP) over that stretch. 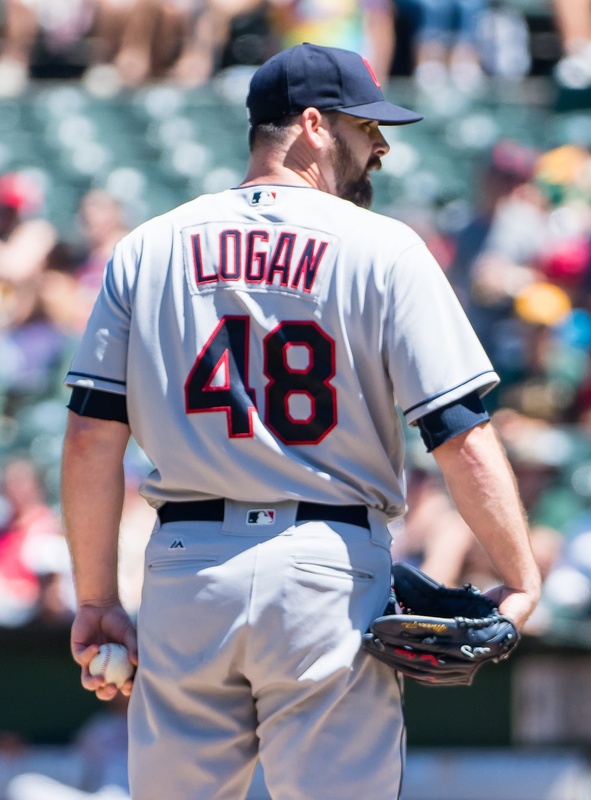 The veteran lefty finished with an uninspiring 4.71 ERA last season, but when considering his strikeout numbers, FIP, and batting average on balls in play (BABIP), Logan looks like he had a semi-dominant 21 innings in the big leagues last season. Logan’s 3.13 FIP would have been his best of his 12 year career over a full season. His ERA was bloated almost entirely by an inflated opposing BABIP of .353, although his 51 percent ground ball rate was two percentage points better than his career average. The southpaw struck out 12 batters per nine innings, the best mark of his career. His walks per nine were a tick below 4 at 3.9, a concerning total but right in line with his career average. He also had a park factor that was 8 percent above average, which did no good for his ERA totals. The only thing out of line was his opposing BABIP. Even as Logan scratched the surface of his mid-thirties and endured an injury-riddled season, the velocity on his pitches maintained. According to Brooks Baseball, his fastball and sinker both remained slightly below 94 MPH. Logan threw his slider harder and more often than ever, selecting it nearly 58 percent of his pitches, with a velocity around 84 MPH. Although Brewers fans are longing for the big move to take this team over the hump and into the playoffs, it is small moves such as the Logan signing that builds a well-rounded roster. By spending just $2.5 million, David Stearns has lengthened and strengthened his bullpen without any long-term commitment. If Logan stays healthy and returns to being the more-than-solid lefty-specialist he has proven to be throughout his career, the Brewers can bring him back in 2019 at a modest price. Stearns has built the Brewers current roster on seemingly minor moves such as these, and the Boone Logan signing has the potential to join his long list of underrated moves. What if the Brewers Don’t Sign Neil Walker?